From upper class beginnings over a century ago to a modern thriving network, the club scene is part of the fabric of climbing in Britain. But how did this come about, and what is the relevance of clubs today? Derek Walker takes a look at what Chris Bonington described as “The backbone of British mountaineering”. The period between 1850 and 1865 was traditionally known as the Golden Age of alpinism, when wealthy English climbers with their local guides were making first ascents of many of the major Alpine peaks. It was during such an ascent of the Finsteraarhorn in the summer of 1857 that William Mathews broached the subject of forming a club with E.S. Kennedy, and just a few months later in December 1857 at Ashley’s Hotel in Covent Garden the Alpine Club (AC) was born. There were initially twenty members, all dedicated alpinists and well to do members of 19th century upper class society. From the start it was a serious, exclusive and men only club, holding regular meetings to discuss papers on mountain exploration, and in 1863 the Alpine Journal appeared for the first time. During the early years the Club was the dominant force in the development of the sport, although from the 1860’s other countries formed clubs of their own. However, unlike the AC these were open to all who had an interest in the mountains, became huge organisations with thousands of members, built mountain refuges (huts) for their members and were organised into local sections. As early as 1854 C.E. Mathews, an early member of the Alpine Club and later president (1878-81) began to visit the Pen y Gwryd Hotel in Snowdonia for winter climbing and later to take part in the new pastime of rock climbing. In 1870 he formed the “Society of Welsh Rabbits”, but by 1897 it was felt that a more formal structure was needed, so forty members of the Society met to discuss the formation of a new club at the Café Monico in London. Our C.E.M. no longer keeps? It would take two world wars to change these attitudes and little could Mathews have realised the dramatic changes in climbing and society in the next century! The CC even had a Harry as its president in the 1970s, athough admittedly he was a barrister. Meanwhile, north of the border, the Scots had formed their own national club in 1889 - the Scottish Mountaineering Club (SMC), much along the same lines as the AC. In 1892 the first English regional club, the Yorkshire Ramblers’ was established. A modest name perhaps, but its members were far from content with mere rambling. Its first president was Cecil Slingsby, a major British climber and formidable Norwegian pioneer, and his daughter Eleanor later married one of the most influential figures in the mountaineering world, Geoffrey Winthrop Young. Just after the turn of the century in 1902, the Manchester based Rucksack Club emerged. Like the other early clubs this was strongly men only, and had a lasting reputation for powerful climbers and outstanding fell walkers and runners. It was a Rucksack Club team led by Fred Pigott that made the first ascent of the East Buttress of Clogwyn Du’r Arddu in 1927, and in 1922 another of their stalwarts, Eustace Thomas, broke the Lakeland Fell Record at the age of 53, took up alpinism the following year and amazingly became the first Brit to climb all the Alpine 4000m peaks! Both the Wayfarers’ Club and the Fell & Rock Climbing Club were founded in 1906 but were very different clubs. The Liverpool based Wayfarers’ has steadfastly maintained its men only tradition (but for how much longer? ), and in the 1930s its membership included many of the cream of English climbing; Kirkus, Hicks, Hargreaves and Edwards, who all honed their skills at nearby Helsby crag. In contrast was the Fell and Rock, a mixed club right from the start, even if there were only eight women out of 164 members in 1907. Its main objective was “to foster a love of mountaineering and the pastime of rock-climbing in the English Lake District”. The Fell and Rock’s first president was the famous mountain photographer Ashley Abraham and unlike the traditional Oxbridge and London bias of the AC and CC, membership was mainly made up of local businessmen and professionals. Meanwhile the first real gritstone climber J.W. Puttrell had been active with the Kyndwr Club, an offshoot of the CC, which was incorporated into the new Derbyshire Pennine Club in 1906. Despite being encumbered by the severe Victorian dress and moral codes, there were a number of tough determined women like Lucy Walker and Katy Richardson who had played a part in some of the major Alpine ascents of the nineteenth century, but of course they were barred from membership of the early clubs. In 1907 the Ladies’ Alpine Club was formed with Mrs Aubrey Le Blond as the first president, but the Club was for “Ladies” and some just saw it as a junior affiliate of the senior male organisation, so It was not until after the First World War in 1921 that the first truly national women’s club, the Pinnacle Club, was born. It could be said that the Pinnacle Club was spawned by the Fell & Rock and the Climbers’ Club, for the two founding women were Emily (Pat) Kelly, wife of the great Fell & Rock climber H.M. Kelly, and Eleanor (Len) Winthrop Young, who had recently married Geoffrey, president of the CC from 1913-1920. The story goes that a group of women climbers ventured on to the Milestone Buttress and one said “Gosh, wouldn’t it be jolly to have a Women’s Climbing Club with not a man in sight!” Pat Kelly had found the Fell and Rock still far too male dominated and Geoffrey encouraged his wife and Pat to press on with the idea of starting a women only club. So virtually as soon as Winthrop Young relinquished the presidency of the CC, his wife Len became president of the newly formed Pinnacle Club in 1921. All polite fun, but who uses the word “chaff” nowadays? Sadly Pat Kelly was to die the following year in a fall on Tryfan, but to this day the Pinnacle Club remains solidly women only and has always been full of outstanding women climbers; Dorothy Pilley, Nea Morin, Gwen Moffat, Jill Lawrence, and Angela Soper. For many years the Club has participated in and organised the highly successful rendezvous meets with women climbers from overseas. Alastair Borthwick wrote in 1930 that “fresh air was still the property of moneyed men, a luxury open to few….hiking was the hobby of an enthusiastic handful, and climbing was a rich man’s sport”. Things were soon to change, however, and by the early 1930s a new wave of working class climbers was beginning to emerge, partly helped by the youth hostel movement and also by the widespread unemployment of the time. New clubs such as the Sheffield Climbing Club began to explore the Gritstone crags and the Creag Dhu lads from the Glasgow shipyards began to climb on the Cobbler and in Glencoe. The members of these new clubs had little in common with the more affluent members of the existing climbing clubs but this process of social change was to increase dramatically in the years after the Second World War. Until the war the Alpine Club had assumed the role of representing the interests of all British mountaineers, but it was during the war that the British Mountaineering Council evolved, largely due to the vision of Geoffrey Winthrop Young. Young (1878-1958) was one of the leading rock-climbers, mountaineers and alpinists of his age, as well as being a distinguished educationalist, writer and communicator. He first raised the idea of a single organisation to represent all mountaineers in Britain as early as 1907, and then again immediately after the First World War in 1919 when he was president of the Climbers’ Club and suggested an advisory body of British clubs. But this was short lived and it was not until the Second World War when he was president of the Alpine Club (1941-1943) that his vision became reality. In his valedictory address to the AC in December 1943 he persuaded the majority (but not all) of members that the AC was no longer the appropriate body to represent British mountaineers. His successor as AC president, Leo Amery – the distinguished politician the Rt. Hon. Leo Amery whose other job was Secretary of State for India - continued Young’s cause and within a year the BMC was born. The BMC initially consisted of 25 clubs of which the following 11 were entitled to nominate a member of the committee: Alpine Club, Alpine Ski Club, Climbers’ Club, Fell & Rock-climbing Club, Ladies Alpine Club, Midland Association of Mountaineers, Pinnacle Club, Rucksack Club, Scottish Mountaineering Club, Wayfarers’ Club, and the Yorkshire Ramblers’ Club. Young became the first BMC president (1945-47), and John Barford the first secretary. Within two years Barford had written a slim Pelican volume, “Climbing in Britain” which remarkably sold 125,000 copies, an impressive figure even by todays standards, reflecting the growing interest in climbing and the outdoors. In the post war years the social revolution and this growth of interest were reflected in the number of new clubs formed, and the BMC had over 100 in membership by 1960. Among the most famous of the new arrivals was the Rock and Ice. This legendary club evolved from the Valkyrie club and became the dominant force in Peak and Welsh rock-climbing in the 50s with occasional raids to the Lake District and Scotland to pick the plum routes there too. But this was not a club in the previously “accepted” sense; no hut, no rules and no subscription. But that didn’t matter when your club members included such stars as Joe Brown and Don Whillans, whose early routes were shrouded in myth and legend. The Creagh Dhu meanwhile kept up the Scottish end with a fierce reputation and impressive route tally, operating from their base at Jacksonville in Glencoe. By the early 1950s the Alpine Club was beginning to feel the winds of change as a group of the leading young alpine activists, frustrated with the stuffiness, outdated rules and standards of the Club, formed a new organisation, the Alpine Climbing Group in 1953. This was a real landmark in the history of British climbing as it broke down the class barriers that had existed previously and included in its membership the best young alpinists, no matter what class or financial background they came from. For example, although most of the original members were from among the best university climbers, such as Nicol, Band, Chorley, Blackshaw, and McNaught-Davis, they also included 22 year-old Joe Brown and 19 year-old Don Whillans. Don was flabbergasted, not only to be asked to join, but also to be invited on to the first committee! And even more telling, there were also Women – like Gwen Moffat and Denise Evans. Starting from the 1920s some of the larger clubs had acquired huts for their members, a practice that has continued ever since and followed by many other clubs. Although the Rucksack Club had been the first to experiment with a hut in remote Cwm Eigiau in 1913, this did not survive the First World War, and the first and lasting hut in Britain is Helyg in the Ogwen valley. Described by George Borrow in the 19th century as a “miserable hovel”, the one room cottage was opened by the Climbers’ Club in 1925. It was of vital importance in the development of Welsh climbing in that “Golden Era” between 1925 and 1939 as the base for a close knit group of climbers including Longland, Waller, Kirkus, Hicks, Hargreaves and Edwards. A few years later in 1930 the Wayfarers, having appreciated the success of Helyg, opened the first hut in the Lake District, the Robertson Lamb Hut in Langdale. And in 1937 the Fell & Rock followed suit with Brackenclose, at a magnificent site at the head of Wasdale. Now the Fell and Rock has five properties in the Lake District and two in Scotland available to its members. Apart from Helyg the CC has two huts in the Llanberis Pass, and other properties at Froggatt, Bosigran, Pembroke and Roy Bridge. According to the BMC Huts list there are now over 60 huts owned by Clubs and available to their members and bookable by BMC groups in England and Wales. As well as providing accommodation, the “senior” clubs have provided an incalculable service to the climbing community by publishing the definitive guidebooks to most of the major climbing areas in the country. The exception was the Peak District, which has been covered for 40 years by the BMC Guidebook committee. Traditionally the Climbers’ Club has carried out this work for Wales, the South West and South East while the Fell & Rock has covered the Lake District, and the Scottish Mountaineering Club has tackled Scotland. The first CC guidebook was published in 1909. This was to Lliwedd, the most popular cliff at the time, and close to the Pen y Gwyrd and Pen y Pass hotels, the year after came “Climbing in the Ogwen Valley”. Nearly 100 years later the Club is still carrying out this work and presently there are fourteen titles available, including the new Merionydd guide. The Fell & Rock began slightly later in 1922 but since that time its volunteer teams have produced a continuous series of guidebooks and at present there are seven available. Members of the Alpine Climbing Group and the Alpine Club weren’t to be left out either, and began producing guidebooks to the Alps from 1957; currently there are eight in print, including the new Bernese Oberland guide. In 1968 the founder clubs of the BMC lost their automatic committee places when a new constitution introduced an area committee structure. Individual membership was introduced in 1974 but the growth of individual members was very slow and in 1989 there were only 5000 individuals compared with some 260 clubs with about 22,000 members, but this was set to change. In the last 15 years there has been a dramatic increase in the number of individual members, especially after 1997 with the introduction of Summit magazine, and now at the end of 2003 the individual membership has reached 34,000 outnumbering the total club membership of some 30,000. Yet there has also been a considerable growth in the number of clubs affiliated to the BMC. 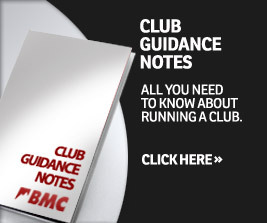 There are now 370 BMC Clubs, from Lands End to Carlisle, from Northumbria to East Grinstead. The vast majority are small informal groups which meet in the week at the local pub, have evening meets at the local crag or wall and get together at week-ends. Nearly half of all clubs have less than 50 members and nearly another quarter less than 100. And despite some dire warnings that membership of the larger clubs would decline, most of them are growing steadily with the Alpine, Climbers’ and Fell & Rock clubs all having about 1200 members. People are joining the clubs at a much later age but they are continuing to climb for much longer - climbing has become a sport for life. When I joined the CC in 1960 in my early 20s straight from University,there was a much greater need to belong to a club then – for shared transport to the mountains, cheap hut accommodation, information, meeting like minded people and finding climbing partners. The Climbers’ Club then had in its membership many of the best young rock climbers of the day, Banner and Bonington from the mid 50s, Crew, Ingle and Boysen in the early 60s, and the Holliwells a few years later, so for many aspiring young climbers, this really was the place to be. But equally, a lot of climbers also gave up climbing early, particularly when the pressures of family life weighed against a then potentially very dangerous sport. Nowadays most people joining the larger clubs are in their 30s or 40s, generally committed climbers who have been around a long time, and are often a member of another local club. The average age of new members to one major club is now 43 compared to the average age of 24 in the 1950s. And over the last 30 to 40 years the major clubs have moved on and shed much of their former elitist image. Women were admitted into the Alpine Club in 1974 and into the CC the following year. Jancis Allison who had taken part in the Gogarth exploration of the early 60s and had made the first female lead of Vector became the first female president of the CC in 1990. Hilary Moffat was the first woman Fell and Rock president in 1986, the same year that Denise Evans took the job for the AC. The Rucksack Club finally began to admit women about ten years ago and now there are hardly any men only clubs left. There is also now little difficulty in joining one of the major clubs, although in most cases a simple formal application is required and clubs will usually look for commitment and a proven track record. It has been from these older clubs, and especially from the Alpine and the Climbers’ Club that the major office holders of the BMC have come. A glance at the BMC 50 year History will show that of the 22 BMC presidents to date, 17 have been members of the AC and 14 of the CC. Members of the other older clubs like the Rucksack Club and the Fell & Rock have also been prominent in filling many other senior posts. Many of those who have held positions within the BMC will also have had a track record of service within their own clubs. They will have the confidence of their peers and are of a “known” calibre. The major clubs are proven institutions and part of the fabric of climbing society whether we like it or not. Their membership which often includes leading establishment figures and a pool of people with exceptional expertise in the law or environment, has helped to protect our “freedoms” over the years when other interests might otherwise have imposed rules and regulations on a dangerous sport like climbing. The question is whether this is a trend set to continue. With record levels of Individual Members and the web allowing easy and passionate discussions about all aspects of the BMC’s work, there may come a time when the BMC president is not a member of any club. Disconcerting for some perhaps, but no more so than the idea mere decades ago that women might enjoy climbing too. Derek Walker was BMC General Secretary from 1989-95 and President from 1999-2002. He joined The Climbers’ Club in 1960, the Alpine Club in 1964 and the Fell & Rock in 1986. In earlier life he was a member of the University of Bristol M.C. from 1957-60 and also RAFMA, and later from the mid ‘70s to mid ‘80s was a member of the Wayfarers’. He is still a very active climber.